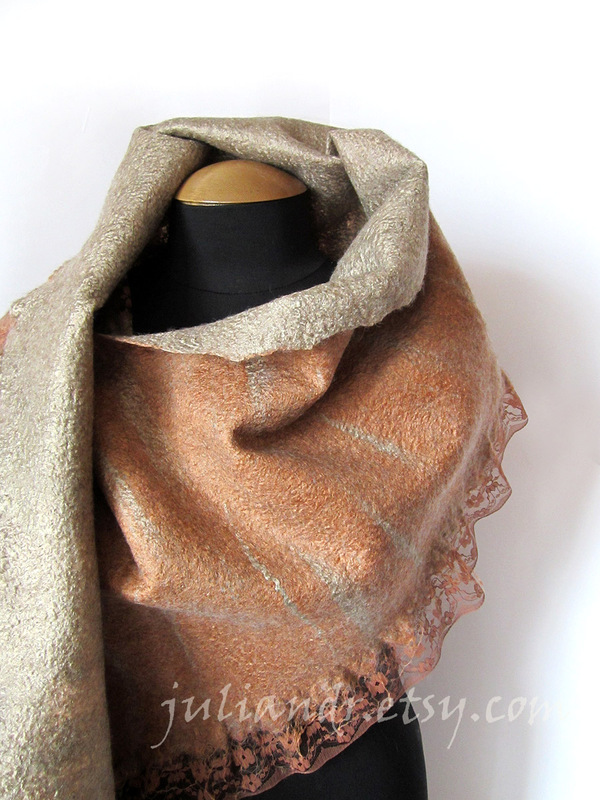 This is an absolutely magnificent handmade wrap shawl (or a large scarf) in delicate rust ginger, chestnut and oatmeal gray, made of Brithish Bluefaced Leicester breed wool, decorated all over with thick layers of tussah silk threads on both sides. It has a smooth shiny texture, is extremely thin and lightweight, easy to drape. The shawl is double sided so it can be worn in different ways, one side is in fine rust ginger color, another's in oatmeal gray; it also has a fringe of delicate chestnut color lace. 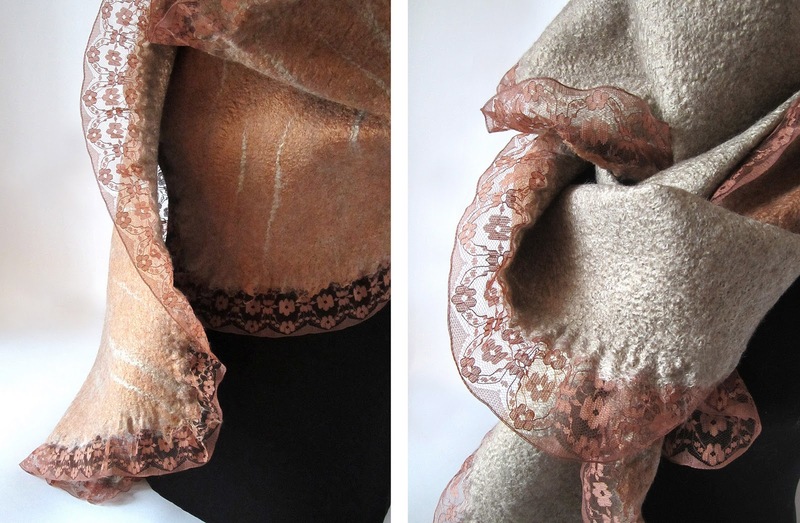 The lace was felted together with the wool, so this shawl is totally seamless. Extremely warm, fine and elegant at the same time. Unique and one of a kind. Approximate measurements: 155x35 cm --> 61"x13,7".